Fifteen years ago in 1993 there were two young teenage girls by the name of Jennifer Ertman, 14, and Elizabeth Pena, 16, headed home as the sun set in Houston, Texas. They took a shortcut so they could get home in a timely fashion, as ordered by their parents. That was their fatal mistake. They came in contact with a group of gangsters headed by Jose Medellin. It was a gang initiation. The girls stumbled upon the gang of gangsters, and these gangsters kidnapped, held hostage, and brutally sexually assaulted these two girls for as long as they wished. After they were through, they tortured them, and Jose Medellin strangled each of them with their shoelaces. Medellin was proud of his conduct. He was later arrested by the Houston Police Department along with others from his group of bandits, specifically Derrick O'Brien, Peter Cantu and two others. These individuals were tried by Texas juries. A Texas jury found that Derrick O'Brien committed the worst crime in our society, ordered the death penalty, and he's been executed. 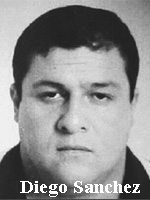 The ringleader of the case, Jose Medellin, well, his case has been on appeal for 15 years. Here's what has happened in his case. He was convicted. His case worked its way all the way to the Supreme Court of the United States. The Supreme Court upheld this conviction. Then years later he says, I should have been allowed to talk to my Mexican consulate at some time during the proceeding, even though he never requested it upon his arrest. Of course, then, the Federal Government gets involved in the case. The case works its way back through the Supreme Court. Before it gets to the Supreme Court, the administration, the White House, intervened and told Texas courts to give Medellin a new trial because he was not allowed to ask or see his Mexican consulate, even though he didn't request it. Remember, Medellin was illegally in the United States, even though he had been here since he was 6 months of age. The State of Texas, the Texas courts, in all due respect to the President of the United States, ignored his request. The case went back to the Supreme Court, right down the street. A few months ago the Supreme Court of the United States said, World Court has no jurisdiction. The President of the United States has no jurisdiction to tell the courts in Texas what to do and upheld his conviction and ordered him executed. But, once again, the World Court intervened yesterday, and said the State of Texas cannot execute Medellin. Well, let me tell you something, the State of Texas on August 5 is going to execute this defendant for what he did. The State of Texas has decided that the World Court has no jurisdiction to tell the State of Texas or any other State what to do. I think it was put appropriately by the fathers of these two girls. Justice must be served for victims of crime. 15 years justice has been waiting, in this specific case, 15 years, longer than one of the girls even lived. This defendant arrogantly has been sitting on death row. I was a judge when this case was tried back in Texas in the 1990s, and it was one of the worst crimes we had ever heard in our city, where two teenage girls minding their own business were kidnapped by a bunch of gangsters, sexually assaulted, tortured, murdered and the criminals bragged about this conduct. Today is judgment day for Jose Medellin. He deserves the death penalty, he earned it, and justice demands it, whether the World Court likes it or not.